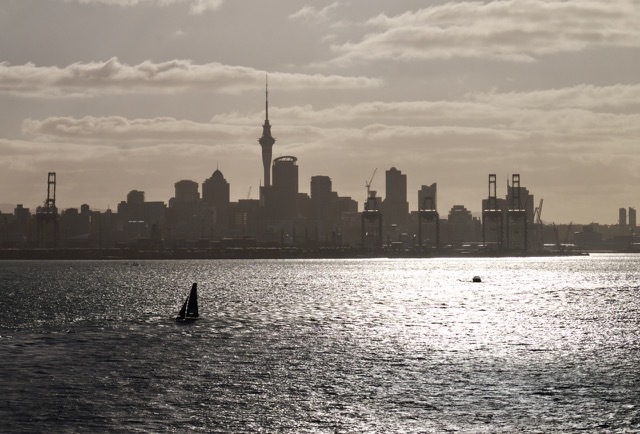 For a big internationalised city, it's curious that Auckland doesn't have a great deal of must-see sights. 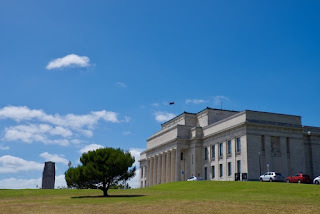 So, if you've been here a few times (like we have), and you've been to the Sky Tower, the Museum, visited Devonport and the islands, then you're in danger of running out of things to do. So, today we set ourselves a challenge to find something new in Auckland. 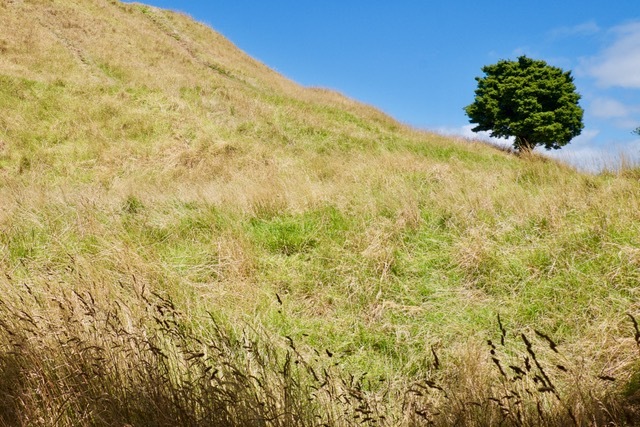 We settled on following the Coast to Coast Path, on a walk through the city to Mount Eden, the city's tallest volcanic mound. This long walk took us past so many different aspects of Auckland – modern skyscrapers, grand Victorian buildings, low-rise Edwardian suburbs, wide open parklands, and congested 8-lane highways. 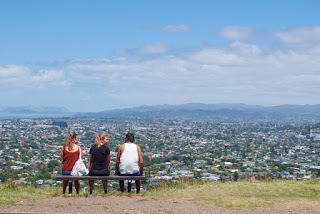 It was a lovely walk, but with all the hills that surround the city and the day getting steadily hotter, we were already getting pretty tired by the time we got to the bottom of the imposing Mount Eden. At 196-metres high, this grassy volcanic cone makes for an incongruous sight in amongst the suburban homes, but from its summit it provides the best views possible across the sprawling city below. 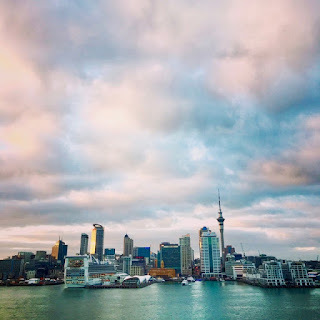 From up there, you get a great view down into its mossy crater (which is off-limits, because it's sacred to the Maori), and you get a better sense of how this city is pretty much surrounded by water. 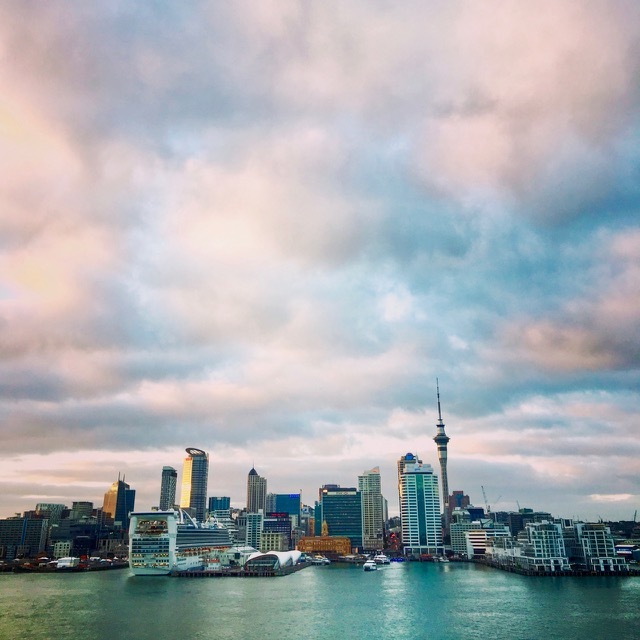 This has got to be one of the best urban views in New Zealand. By now, we were weary and hungry, so we trudged down the Mount to find a cafe in Mount Eden village for lunch. This place seemed to be fairly well off, so we were absolutely spoilt for choice for cafes, bars and restaurants – settling upon a trendy "Artisan Bakery" called Olaf's. This was a place that confirmed that New Zealand does cafe society very well indeed. We ate too much and the prospect of re-tracing our steps was not an attractive one, so we caught a bus back into the city centre, where we did a bit more exploring and shopping. Today confirmed that a city like Auckland doesn't need to have lots of must-see sights and museums – its different neighbourhoods, its spectacular natural setting, and its laid-back atmosphere are more than enough to keep us entertained. 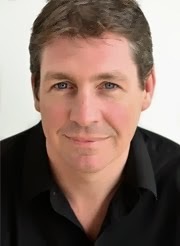 What a welcome to New Zealand!